Aside from the recent changes to the Aero bar, I noticed another new look for a classic chocolate in the candy aisle today. 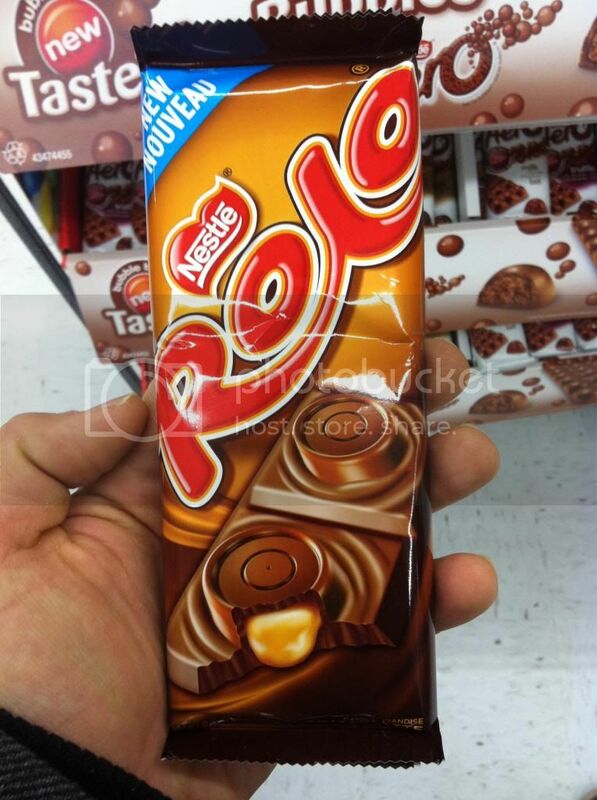 Also from Nestle, here we have Rolo in bar form. Is this something that Rolo fans have been clamoring for? I always thought the form factor was one of the huge selling points for Rolo. We'll have to see if this new version sticks around.